Stay comfortable every season with a new system from H & H Heating & Air in Spokane, Washington. Whether you need a water heater or air conditioner installation, we are there for you. From winter to summer, your home will always be the right temperature when we install your new system. We use the best brands on the market for your gas piping and fireplaces. With our experience and knowledge about our products, you can rest easy knowing you are receiving quality equipment for the lowest possible price. If something goes wrong with one of your systems within one year of your original service, we reinstall it for no additional cost. 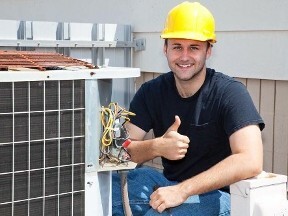 Contact our team to use our services for your air conditioner installation.